Percussionist Dr. Christopher Whyte has emerged as one of the Pacific Northwest’s most engaging performers and educators. He currently oversees the Percussion Studies program at Portland State University, serving as a one-year sabbatical replacement for Dr. Joel Bluestone. 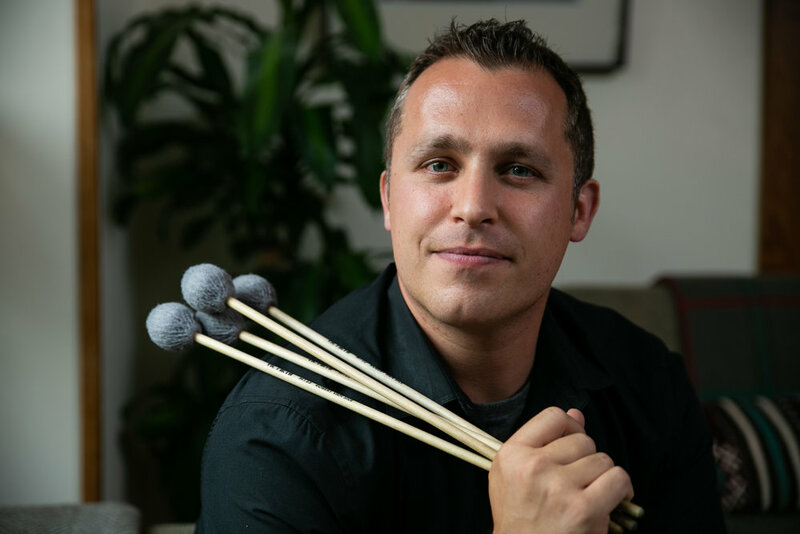 He is co-founder of the Portland Percussion Group, a contemporary percussion quartet based in Portland, Oregon which strives to foster and promote percussion performance through engaging concerts, educational outreach, and the commissioning of new works. Whyte is also co-director of the Portland Summer Percussion Academy, a residential summer camp for high school percussionists focusing on a broad range of western and non-western percussion styles, as well as a founding member of the International Percussion Institute, which takes place each summer at the University of Aberdeen, Scotland. He performs frequently in the Portland area as a freelance percussionist and timpanist with the Oregon Symphony, Portland Opera, Oregon Ballet Theater, Portland Symphonic Choir. and Portland Gay Men’s Chorus. Additional performance credits include the Vancouver Symphony, Oregon Bach Festival, Astoria Music Festival, Eugene Symphony, and the ALEA III contemporary music ensemble. He has worked closely with composers William Kraft, Pauline Oliveros, Allen Strange, Stephen Taylor, Michael Johanson, Mendel Lee, and Gabriela Lena Frank, among others. He has works published through Tapspace, MSC, Matrix, and Bachovich publishing companies. He has performed live broadcasts on All-Classical Portland’s 89.9 radio station, and he was a featured performer for All-Classical’s 2017 Solar Eclipse broadcast of Desmond Earley’s Body of the Moon. He can also be heard on Grammy-nominated recordings by the Oregon Symphony from Pentatone Classics. Whyte is active in the Percussive Arts Society, having served as a member of the Percussion Ensemble Committee since 2015. He has also presented or performed at CMS and the Northwest regional NAfME conference, and his music has been performed at the Midwest Clinic and the Music for All National Chamber Music Festival. Dr. Whyte has performed solo recitals and given masterclasses throughout the United States, UK, and China, and he has a true love of sharing his knowledge of the percussion field with students at all levels. Whyte earned degrees at the University of Oregon as a student of the late Charles Dowd, and he completed the Doctor of Musical Arts in Percussion Performance from Boston University, where he was a student of Boston Symphony Principal Timpanist Timothy Genis. Chris is a Yamaha Performing Artist, and he proudly endorses Vic Firth Drumsticks, Remo Drum Heads, Zildjian Cymbals, and Black Swamp Percussion Instruments.